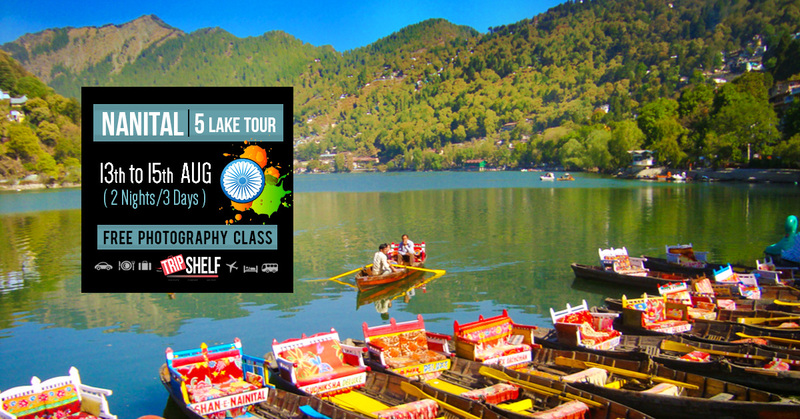 Off to Nainital - 15th August Getaway - Nainital Holiday Package! 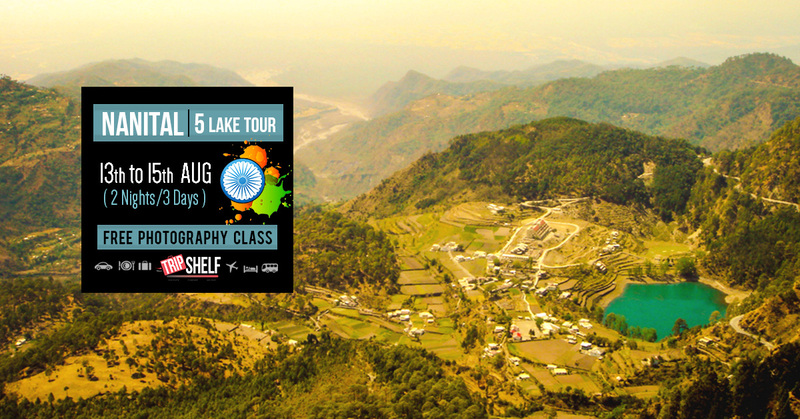 ✔ 2 Nights 3 Days: Aug 13th-15th with Sattal, Bheem Tal, and Naukuchia Tal sightseeing. ✔ INR 500 Cashback + Free Photography Class (at Delhi)! Questions? Call TripShelf dedicated Travel Experts at - 011-49058399 between 10 AM and 7 PM Monday to Saturday! In the evening at 10.00 PM, we take the overnight AC coach from Delhi to Nainital. Arrive in Nainital early in the morning, hope you're well rested! The bus will drop you at bus stand, thereafter you will be transferred to the hotel. Enjoy the views from your hotel, the cool breeze on your face, and perhaps the freshly settled dew in the outdoors! Whip out your camera and get those fantastic shots. Well rested? Go for a half day city tour across the Himalaya Darshan Point, Naini Lake View Point, the Zoo (entry charges extra), and Lake View Point. Evening back to hotel free for individual activities, bonfire, and a buffet dinner! between 10 AM and 7 PM Monday to Saturday! Well rested? Now, it's time to see what the "Taals" are really about. Enjoy a full day excursion visiting lakes across the sector - Sattaal, Bheem Taal, Naukuchia Taal. Experience the full serenity of the lakes of Naini. The views are breath taking and the drive even more relaxing. Head back to the hotel after the lovely journey for a well deserved rest. Roam the mall road, have some cotton candy, take a shikara ride in the Naini lake, or sip garma garam chai in the small taverns that outline the majestic Naini lake. Ready for the way home! Have a lovely breakfast and check out from the hotel. 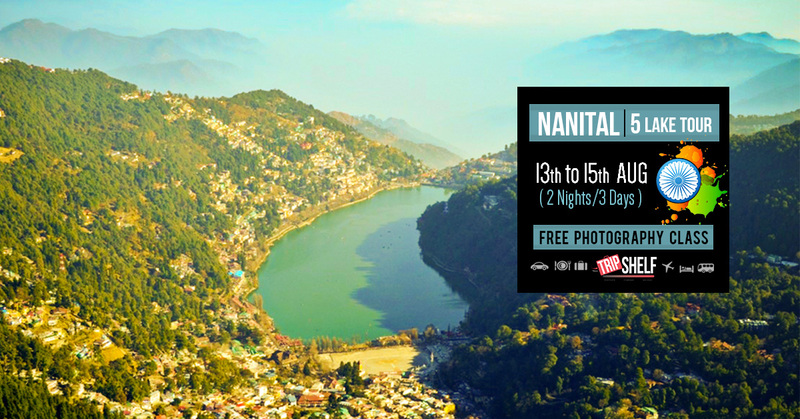 Visit the Mall road for shopping and take a walk through the trails that Nainital has! In the evening board the AC coach bus for Delhi for an overnight journey. You will be transferred from the hotel to the bus stand! Cashback INR 500 per booking! Make a Part Payment of Rs.2500 here -- bit.ly/TSAdvance2 (balance amount 10 days prior to the Travel date) - This amount is fully refundable within 7 days of advance payment, or 10 days prior to trip whichever is earlier provided full payment has not been done. Questions? Email at- info@tripshelf.com. Call at- 011-49058399 between 10 AM and 7 PM Monday to Saturday!